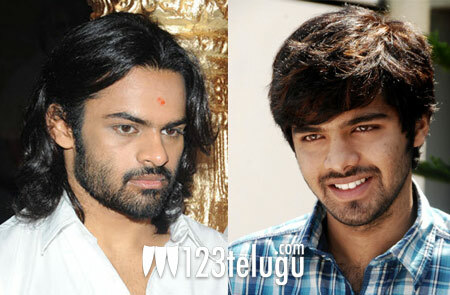 We are talking about Sai Dharam Tej, Megastar Chiranjeevi’s nephew, and Arun , who was seen opposite Genelia in ‘Katha’. They are teaming up for a new movie titled ‘Kerintha’ and Dil Raju is producing this movie. Adivi Sai Kiran, who directed Vinayakudu earlier, will be directing this movie and he also happens to be a former assistant of Shekhar Kammula. The movie will be going on to the sets from August. Sources say that Sandeep Kishan will also be playing a role in this movie and Mickey J Meyer is scoring the music. The heroine for this youthful entertainer has not yet been finalized and an official announcement is expected over this soon. Sai Dharam Tej is busy with the shooting of his debut movie ‘Rey’ while Arun has been busy in Tamil with a couple of projects. Interestingly, Arun is the hero in the short film on which Siddharth’s ‘Love Failure’ is based.